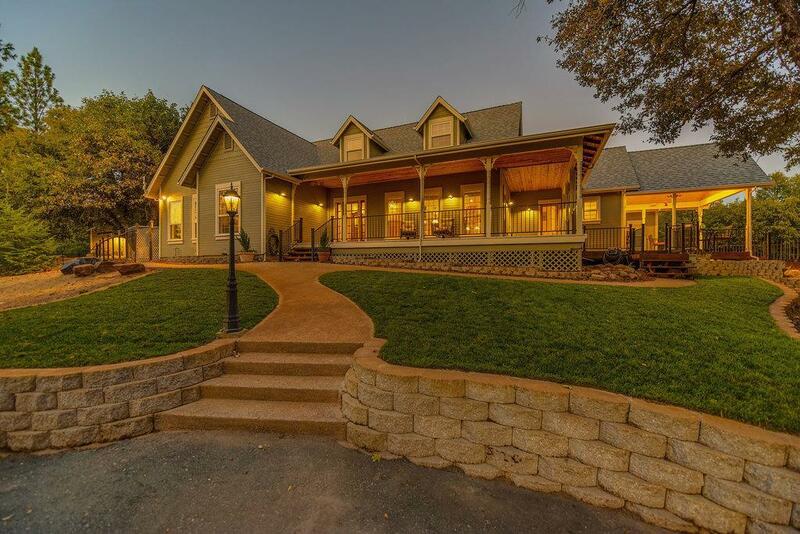 STUNNING MODERN FARMHOUSE with expansive views surrounded by tranquility & privacy. This ONE-LEVEL home has it all: updated gourmet kitchen w/all new appliances including 2 ovens, 2 sinks, pantry & pot belly gas stove, a true master suite w/wet bar, lg. laundry area, surround sound, designer colors thru-out & bonus room above garage. Outside offers covered wrap-around deck, covered RV access, newer paint and roof, generator, & large car-lovers SHOP w/lift, mill & lathe & full bath! A MUST SEE!